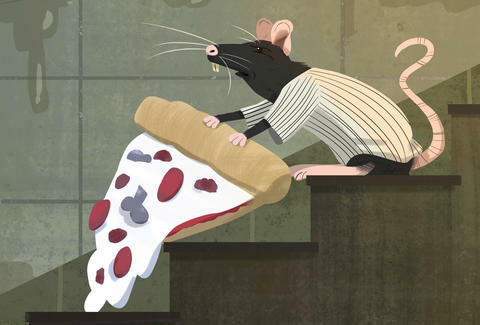 Determined to make lemonade and truly depressing copy out of lessons unlearned, the justification offered for naming a sports team after thieving vermin is as follows: “Like Staten Islanders and New Yorkers, these natives are tenacious, enterprising and know where to find the best food in the city.” Make sure to cast your vote for Pizza Rats here within the next two weeks, because like President Washington coming clean about that cherry tree, it’s just the right thing to do. James Chrisman's father was a pizza rat. Follow him to his memoirs @james_chrisman2.